Once upon a time, the video game industry's most talented got together to create a fantasy RPG. And it was glorious. 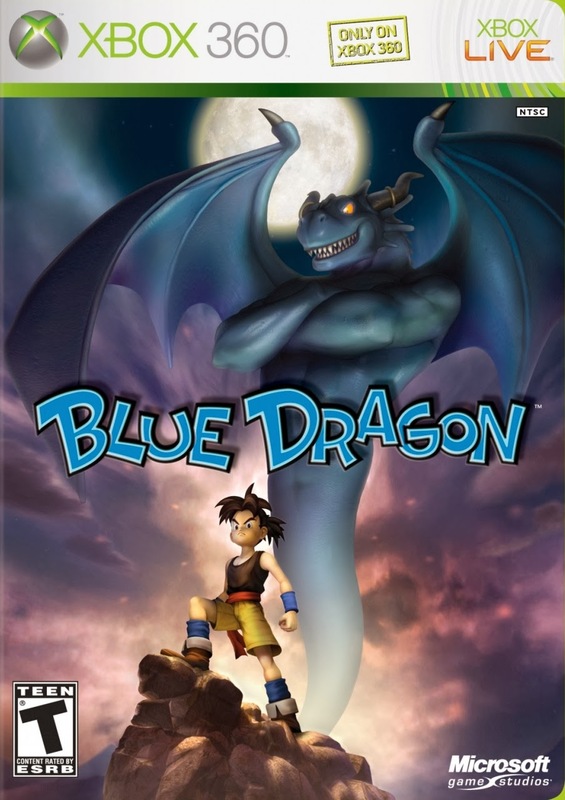 I'm glad to say I've finally completed Blue Dragon for the first time and it was much more impressive than I thought it would be. 'RPGs on Xbox' is spooky territory and this was the very first offering from RPG powerhouse Mistwalker. I think it paid off, and this is one of the few diamonds-in-the-rough. I fell in love in minutes. 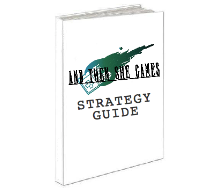 It's an incredibly complex game, but it doesn't feel overwhelming as you play. Nevertheless, I will try to introduce you to all the major components today. When mysterious violet clouds roll in over Talta Village, they bring with them a brutal land shark attack. The small settlement's youth decide they've had enough of these recurring incidents, and this time they are going to capture the monster. Enter the game's protagonist Shu, with his intellectual counterpart Jiro and the impulsive Kluke. They devise a clever plan to save the village, but things don't really go according to plan, and the trio is whisked away on an adventure to discover who is behind these attacks, and put a stop to it. Welcome to my first Elite Four* article, which will showcase my "top 5*" of various subjects. We're starting with a pretty weird one, but it's one that I have to turn to quite a lot, actually. If you've got friends who are parents, you're tight with your neighbors, or maybe you've just got a big family like me, sooner than later you're going to get stuck with the kids. A lot of people in my life have young kids right now and in spite of the fact that I'm not the biggest fan of little ones, I try to be a good friend/sister occasionally by taking the little brats off their hands for a while. I hadn't planned on replaying Uncharted, but I needed something to do while killing time at my parent's house over Christmas so why not? I'm reminded how much I love the Uncharted series, and how fun and quick this game is. A lot of people consider this "a man's Tomb Raider," which is pretty funny 'cause I think dudes would rather play TR and chicks would rather play this. 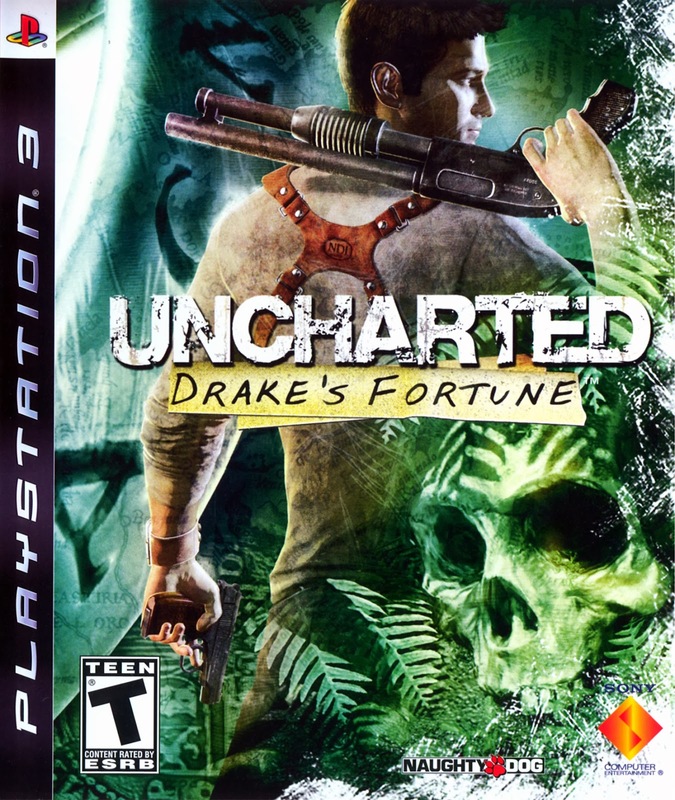 I don't really recall how I felt about the graphics in Uncharted at the time of its release, and this was one of the few PS3 games I played early on so it had the rare opportunity to expose the PS3's capabilities. In any case it's clear that they put a lot of work into it, and it holds up pretty nicely. Obviously the animation of characters is a bit blockier than later games but the scenery is beautiful and the details retain their prominence. The music in Uncharted is pretty different. Indiana Jones, anyone? Typical Naughty Dog, using minimal sound, but it's effective and you learn to depend on it because you know when there's music, there is still work to be done. The tunes themselves are pretty cool. The orchestra makes great use of exotic instruments you don't typically find in video game arrangements, or anywhere really. They really add a neat ethnic touch to the soundtrack and it grabs your attention. The beauty of Shadow of the Colossus is that it's an incredibly simple game. I remember the first time I played SotC on PS2, thinking, "it's gotta get more complicated soon," but it never does! This time around I played the HD remaster of SotC on the PS3 for the first time, as finding a copy for the PS2 can be pretty tricky these days. I have no idea what happened to my copy, but I played this game plenty back in the day. 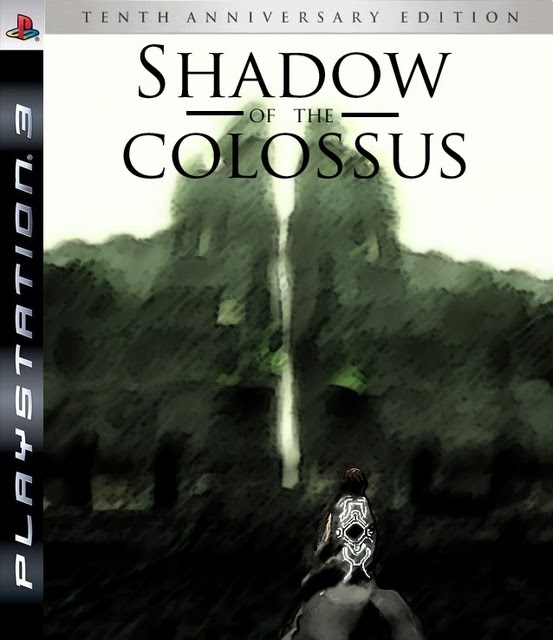 I think many Colossus fans would argue that this game was ironically? waaay ahead of its time at release in 2005, on the Playstation 2, so playing it all straightened up on PS3 was quite the experience. I didn't notice any major changes in the game, except that the graphics are entirely cleaned up and of course, you get trophies. It really looks fantastic on the PS3 and the improved frame rate helps you get a better handle on the game - sometimes literally. The setting is still true to the game: a largely barren wasteland of ruins with patches of lush oasis… navigating this gorgeous, massive world is a joy. In a strange contrast to the game's visual, the soundtrack is actually quite saturated. The music is played to you by a wonderful orchestra and the songs are rich and brilliant.